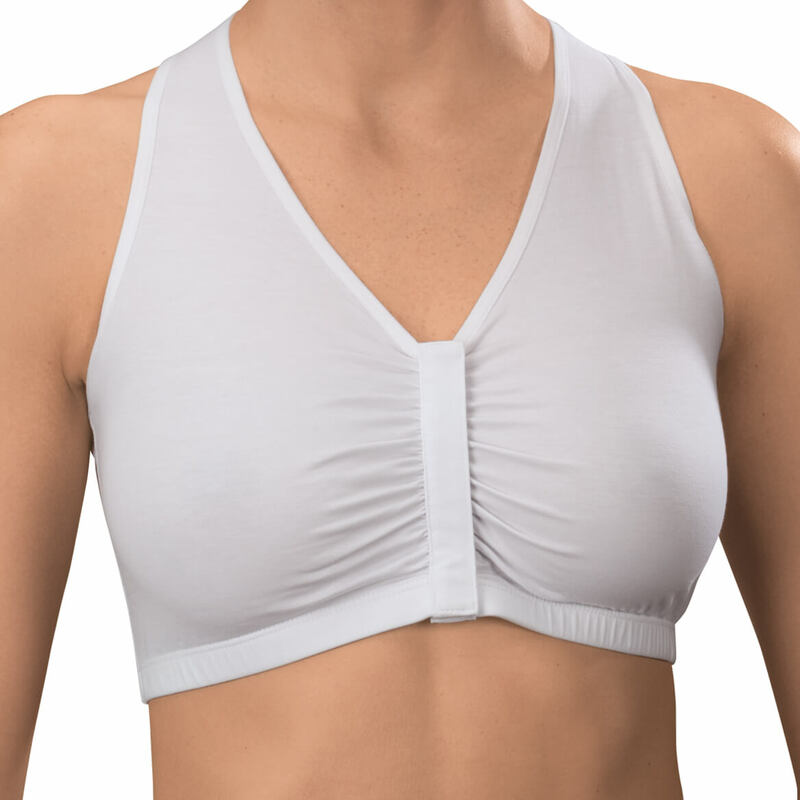 I've had surgery on my right arm and can no longer put it behind my back so I need a front closing bra. Also since getting older I needed a comfortable one to sleep in. This bra is just what I needed. CAN NO LONGER AT STORE I USUALLY BUY AT. BEST ANSWER: Thank you for your question. Medium (34–36), large (36–40), XL (40–44) or XXL (44–46).We hope this information will be of help to you.